With no end in sight to the three-year fighting in Syria, the UN refugee agency on February 21 called upon countries around the world to make multi-annual commitments towards a goal of providing resettlement and other forms of admission for an additional 100,000 Syrian refugees in 2015 and 2016. UNHCR had earlier called upon states to offer resettlement or other forms of admission to 30,000 of the most vulnerable Syrian refugees by the end of 2014. To date, 20 countries have offered more than 18,800 places towards this goal. There are currently more than 2.4 million refugees registered in the region. 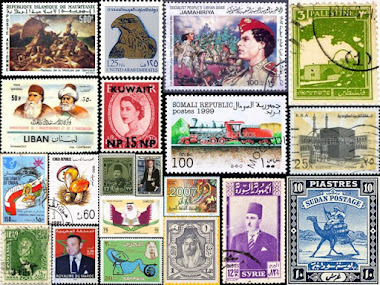 In Lebanon there are some 932,000, Jordan has 574,000, Turkey some 613,000, Iraq 223,000 and Egypt has about 134,000 refugees. "UNHCR remains confident that the 30,000 goal will be met by the end of the year through a significant number of submissions to the United States," spokesman Dan McNorton told journalists in Geneva. As part of the emergency response, UNHCR is urging states to consider a number of solutions that can provide secure, urgent and effective protection for these people. Such solutions could include resettlement, humanitarian admission or individual sponsorship; programs that enable Syrian relatives to join family members; scholarships for Syrian students in order to prevent a "lost generation" of young people; and medical evacuation for refugees with life-threatening health conditions. More than 10,000 Syrians have fled over the mountains into Lebanon since a fresh offensive on the city of Yabroud – in Reef Dimashq governorate about 80 km north of Damascus -- and its outskirts began in mid February. The new arrivals represent a second wave of refugees to escape fighting in the same region of Syria, following an earlier influx in November 2013. The new refugees are arriving in a town that has already taken in huge numbers in recent months. 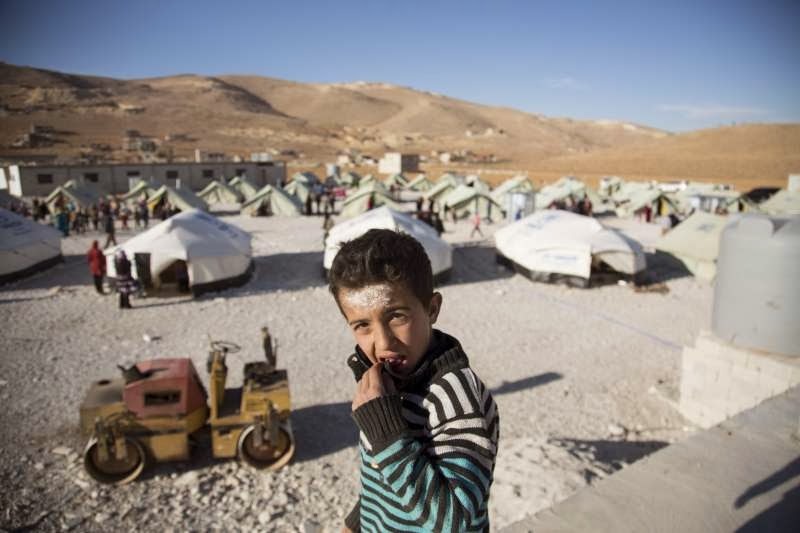 The population of Arsal, normally 35,000, has now surpassed 83,000 – with far more Syrians now than Lebanese. Community centers, mosques and other "collective shelters" have long since run out of space. Across the town, a patchwork of blue and white tents and impromptu shelters is filling up any open space. Some new arrivals are living in vans and the backs of trucks. 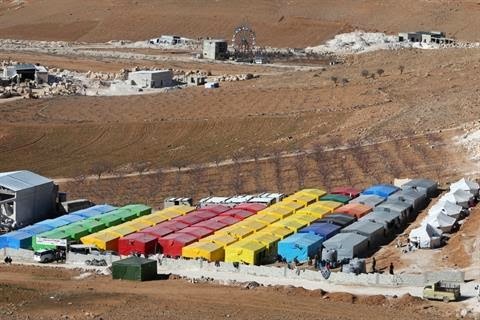 With this new influx, the number of informal tented settlements in the town has climbed from six to more than 30, writes UNHCR’s Andrew Purvis from Arsal. The latest exodus from Syria began in earnest when bombing intensified on February12. To avoid shelling, many of those fleeing Yabroud are finding alternative routes over the mountains along rugged mountain tracks still blanketed with snow. For many of the refugees, the escape to Lebanon follows several years of displacement and deprivation within Syria. Syira UNSCR 2139: Now show us the beef! As barrel bombs continue to rain down on the northwestern city of Aleppo, the United Nations Security Council on Saturday (February 22) united for the first time on Syria and issued a resolution on access to humanitarian aid in the war-torn country. UNSCR 2139 says both Syrian government and opposition forces must allow aid convoys to reach civilians. Although it does not threaten sanctions, the resolution warns of "further steps" if the sides do not comply. Russia and China, who vetoed previous similar resolutions during the three-year war, voted in favor. 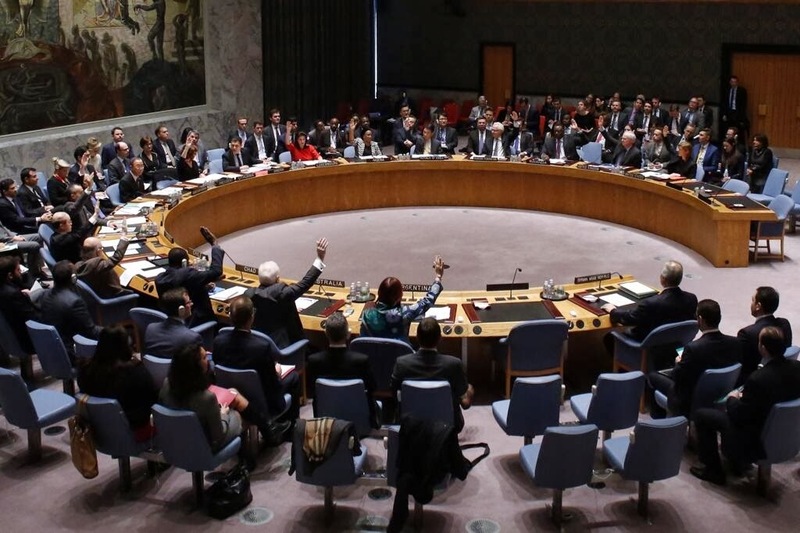 The resolution calls for the cessation of shelling, aerial bombardments and barrels bombs while demanding cross-border access for aid convoys as well as an end to sieges across Syria. Reuters quotes Lithuanian UN Ambassador Raimonda Murmokaite, president of the 15-member Security Council for February, as describing the unanimous approval of the resolution, drafted by Australia, Jordan and Luxembourg, as a "moment of hope" for Syria's people. Russia's UN Ambassador Vitaly Churkin told the Council after the vote that Moscow supported the move because "many Russian considerations were borne in mind and as a result the document took on a balanced nature." China's UN Ambassador Liu Jieyi said Beijing was "gravely concerned" by Syria's worsening humanitarian situation. "We strongly urge all the parties in Syria to implement this resolution in good faith," he said. The resolution asks UN Secretary-General Ban Ki-moon to report to the Council in 30 days on implementation and "expresses its intent to take further steps in the case of non-compliance." But it is unlikely Russia will agree to any action if Syria's government is found to be in non-compliance. The United Nations says 9.3 million people need help -- nearly half the population -- and that well over 100,000 people have been killed. The opposition Syrian Observatory for Human Rights has said that more than 136,000 have been killed since March 2011. The resolution "demands that all parties, in particular the Syrian authorities, promptly allow rapid, safe and unhindered humanitarian access for UN humanitarian agencies... including across conflict lines and across borders." It also demands all parties "cease all attacks against civilians, as well as the indiscriminate employment of weapons in populated areas, including shelling and aerial bombardment, such as the use of barrel bombs, and methods of warfare... to cause superfluous injury or unnecessary suffering." Wow! 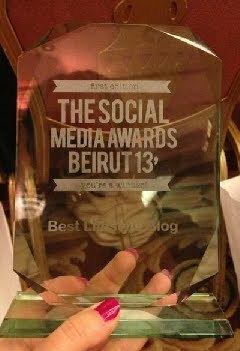 I still can’t get around to saying anything else! 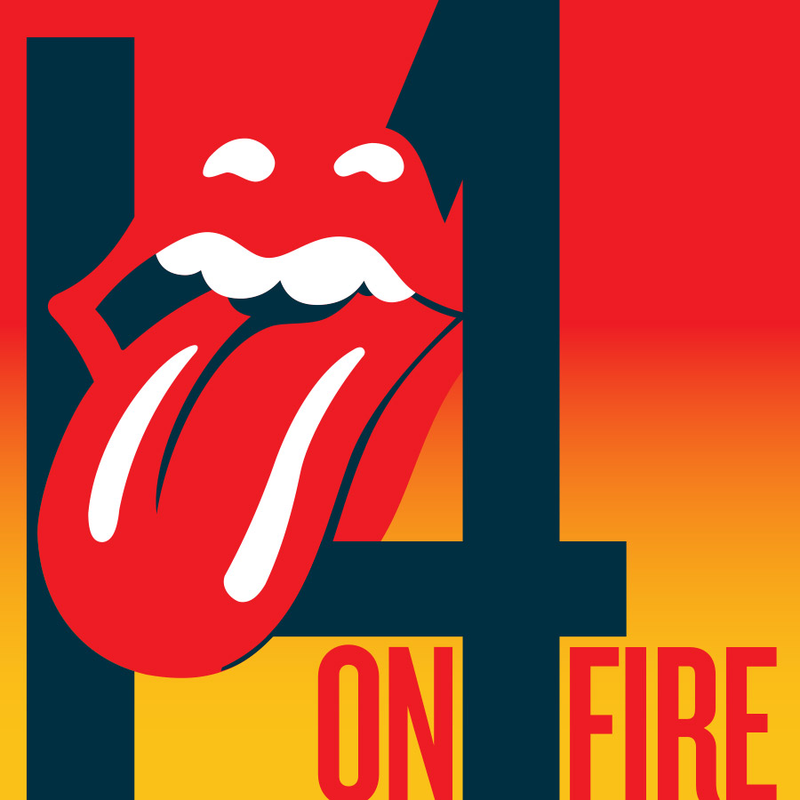 “There” is of course the kickoff, right here in the UAE capital Abu Dhabi, to the legendary Rolling Stones’ 14 On Fire tour. It was a dream come true to see these legends live, thanks to the friendship and generosity of my friend Kamal, who got me the ticket as a Christmas present. I was really, really there! 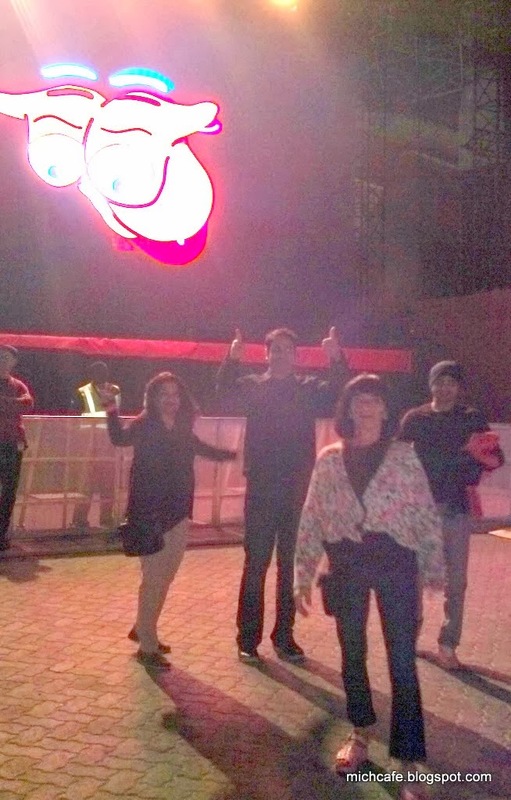 I was also lucky to go to the concert with a great group of friends -- thejamjar owners Hetal and Neel as well as Michal and Preety. And to top it all, we were upgraded to the Fire Pit, right in front of the stage. It couldn’t get any better. 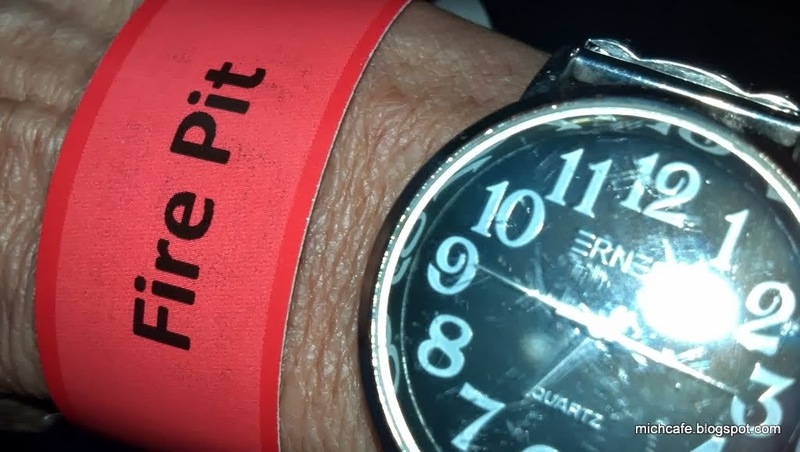 After arriving at the fantastic du Arena on Yas Island for early entry at sunset, we entered the Pit, got comfortable and braced for a long wait. But no… Although they are among the biggest stars in music, they not only started on time, but about 10 minutes before 9 p.m.
As Mich Jageer led the band on stage, I had tears in my eyes. I couldn’t believe they were actually right there, a few meters from me. I am sure everyone else had the same feeling. Some of the 30,000 fans who attended the memorable concert had come from all over the world. There was one father and his son from Scotland, the American couple on their 28th concert and the Danish couple attending their 48th. Two men behind me knew every single word of every single song. 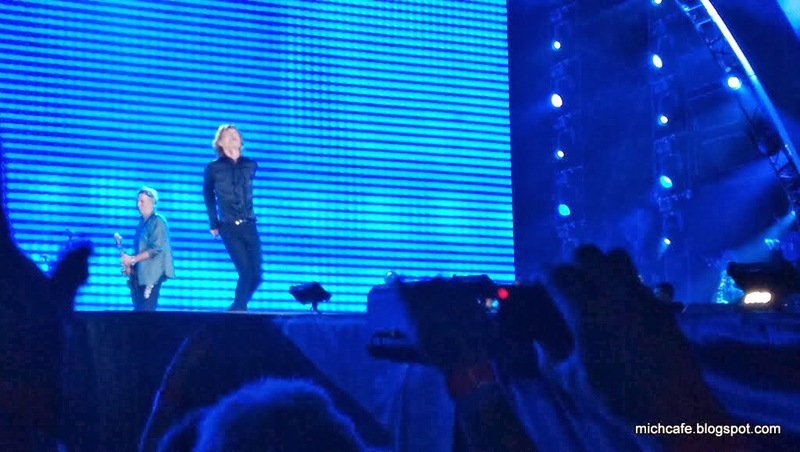 At one point it was difficult to tell if it was them singing or Mick Jagger. I guess there are always spoilers. They also took the excitement out of the surprise of the next song as they knew the song list by heart and announced it each time. 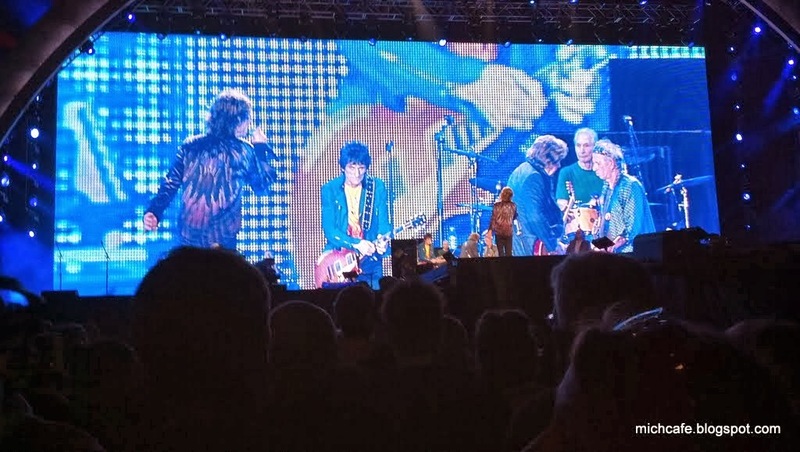 Although I was there to mainly see Ronnie Wood strum that guitar in the flesh, Mich Jagger is absolute magic and charisma; Keith Richards, well you have to see to believe; Charlie Watts did have a few smiles. And Mich Taylor, Chuck Leavell, Bobby Keys and Lisa Fischer just added fairy dust to the magic. The band gave their all for nearly two hours. 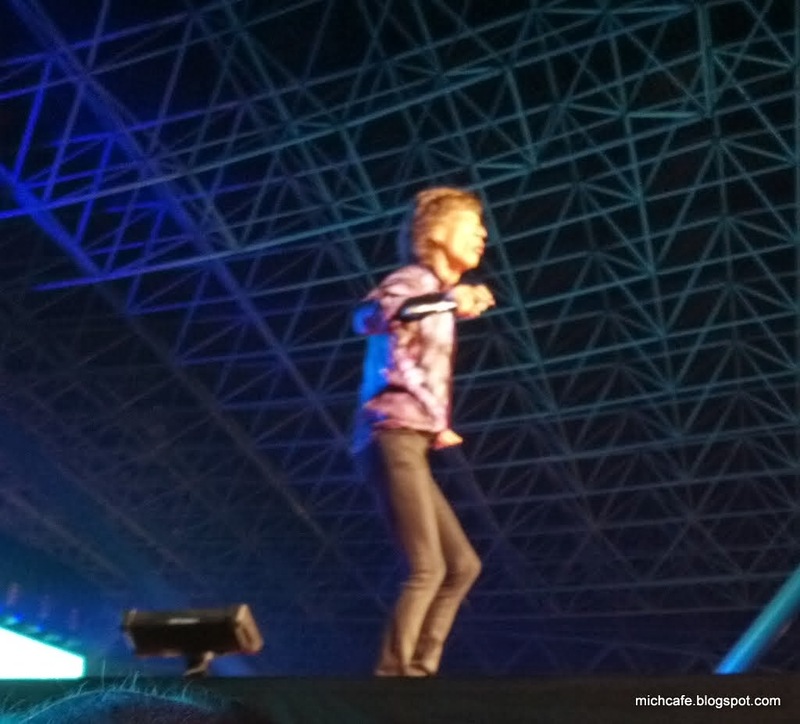 Mick was relentless, running up and down the 40-meter runway into the crowd and even got Ronnie Wood and Keith Richards to join him at one point. He dazzled in super sequined red, green and purple sequined jackets over his Rick Owens black top. He ended with a red-feathered coat. The energy among the band members only comes from a partnership of years. And it was refreshing to see Ronnie and Keith smoking on stage without all the politically correct mumbo jumbo. They kicked off with, Start Me Up and wooed us with It’s Only Rock ‘N’ Roll (But I Like It), Angie, Paint It Black and Jumpin’ Jack Flash. 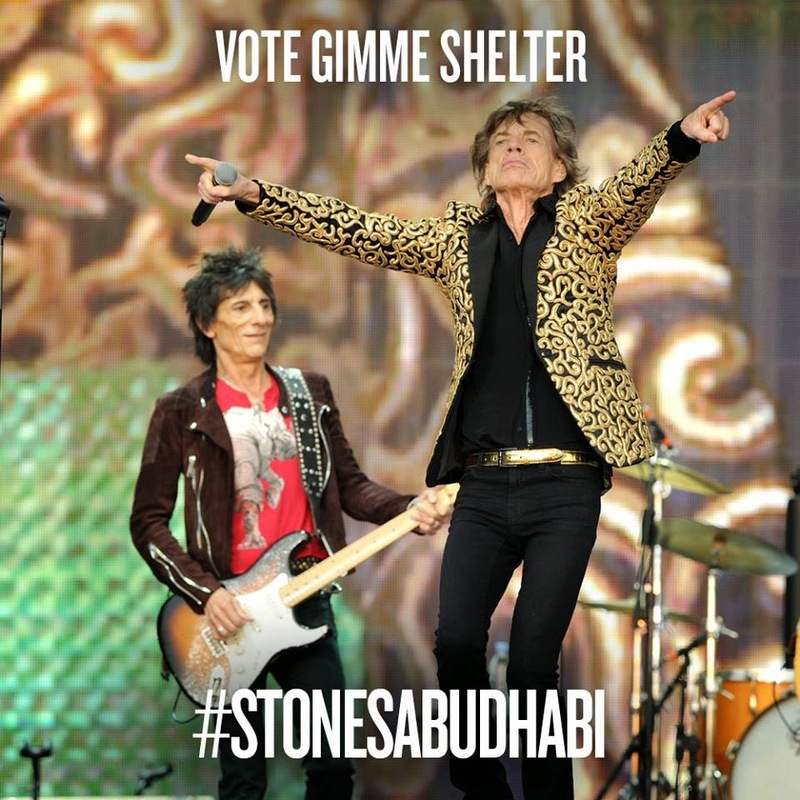 There was also: You Got Me Rocking, Tumbling Dice, Emotional Rescue, Doom And Gloom, Honky Tonk Women, Band Introductions, Midnight Rambler, Miss You and Gimme Shelter which UAE fans voted as their favorite song and requested on Social Media platforms. 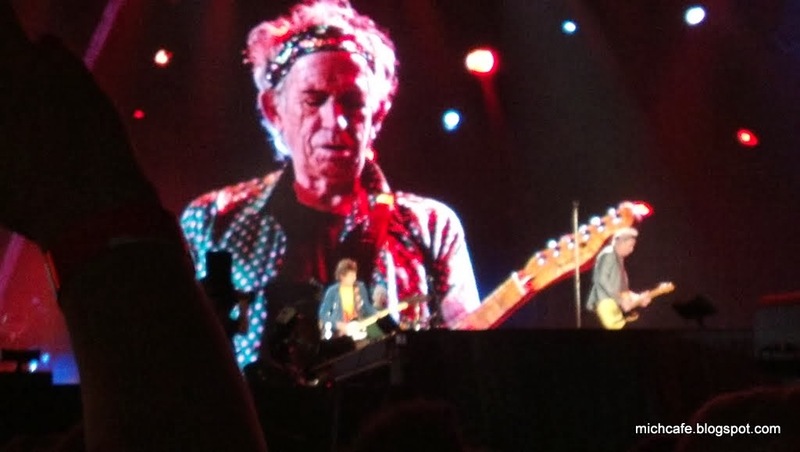 Keith Richards: "I'm happy anywhere"
But above all, it was the music that was absolute magic. Every guitar strum, every drumbeat, every key, every sound was pure rock’n’roll and pure gold. 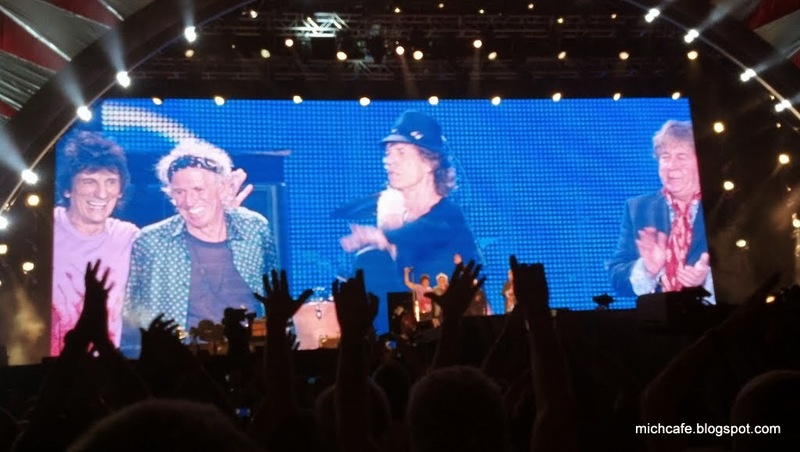 We were treated to two encores, The first with Sympathy For The Devil and Brown Sugar. The second with You Can’t Always Get What You Want (with the UAE’s Al Khubairat singers) and to top the night (I Can’t Get No) Satisfaction. If any fans in Japan, Macau, Shanghai, Singapore, Australia and New Zealand -- where the “boys” take the 14 On Fire tour next -- are in any doubt about getting tickets, do it! You won’t regret it.